160 Deeded Acres with County Road Access along the ENTIRE Western Boundary. Power Lines run North & South through the Property and along the Southern Boundary. Access: County Road Access along the ENTIRE Western boundary via Sunshine Farm Road. Arena Road (C045) touches the Northwest & Northeast corners of the property. Utilities: Power Lines run North & South through the entire property that connect to Power Lines along the Entire Southern boundary of the property. Nestled in New Mexico’s Bootheel region just east of the the Chiricahua and Peloncillo mountains in the heart of the Animas Valley you will find the Bootheel Ranch. Located 1.5 miles east of State Road 338 at the intersection of Arena Road and Sunshine Farm Road, the Bootheel Ranch is easily accessible by all vehicle types. 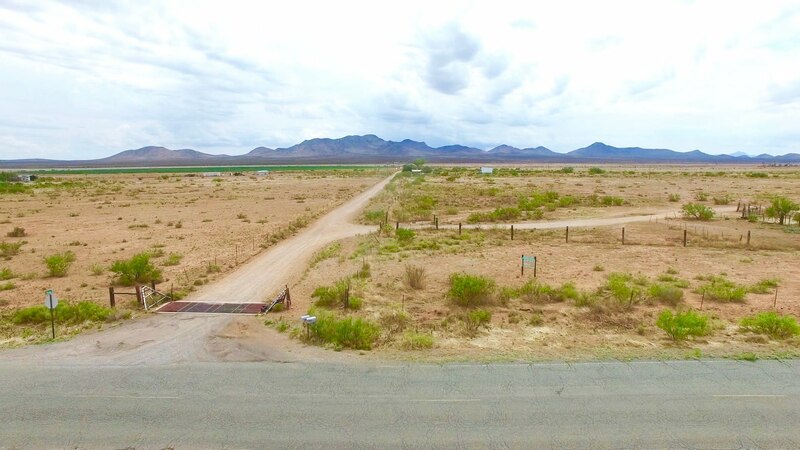 This 160 acre ranch is a full quarter section and features incredible county road access with Sunshine Farm Road running along the entire western border. Arena Road touches the Northwest and Northeast boundaries of the property. The ranch is fenced on 4 sides and has power lines running North and South through the property that connect to the power lines running along the southern boundary. The property is bordered by privately owned land to the North and South, State owned land to the West and thousands of acres of BLM land to the East up into the Animas mountains. The ranch consist of mostly level terrain with an area of slightly higher elevation along the Eastern half of the property. The land has been used for cattle grazing and there are multiple homes, active ranches and agricultural businesses in the area. Bootheel Ranch is located just 6 miles from Animas, New Mexico to the North and 25 miles from Rodeo, New Mexico to the South. Deming, New Mexico and Douglas, Arizona are each a little over an hour away. The area is rich in Native American history and artifacts. Native American paintings and petroglyphs are easily visible throughout the region. Gray Mountain is one of the tallest points of the nearby Peloncillo mountains just to the west. At an elevation of nearly 7,000 feet, the lookout point atop Gray Mountain offers breathtaking panoramic views of the entire region. The town of Portal, Arizona is the gateway to world-famous Cave Creek Canyon just 20 miles to the West of the Bootheel Ranch along the New Mexico / Arizona border. The area is a popular destination for bird watchers from around the world. The Chiricahua Mountain Region has been referred to as Sky Islands due to their amazing abundance of plants and wildlife that are found nowhere else in the United States. The sale of this exquisite property includes the 160 acres of deeded land and 3/4 of all mineral rights. Private yet accessible, fully powered and picturesque, in an area rich with history and natural beauty…it is easy to see why the Bootheel Ranch offers a world of possibilities.